A week or so into March I received an email from a lovely PR lady. One who was asking if I was interested in sampling and possibly reviewing some beauty products. While one part of me was going, wow this is awesome I am slowly making it in the world of blogging, there was another saying something a little different. It was saying "Really? Have you really made it anywhere?" After all this lovely PR lady couldn't even take the time to personally address the email to me. What's more what part of A Parenting Life, suggests that I am interested in beauty products? Not to mention the fact I am the least like person to ever use a cream, or even lotion, let alone an actual beauty product. My ego however took charge and before I knew it I was sending off a reply email that basically said yes please send me some of your beauty products. After all who doesn't love the idea of free stuff. As it turned out the beauty products were detangling treatments designed with children in mind. As well as some rather cool washes and soothing relief moisture cream. Not exactly what I initially think of when I hear the term beauty products but certainly things I would consider using. Cracking the big time felt never felt closer. Coming home to find parcels on my doorstep was pretty exciting. Opening to find they are beautifully wrapped and tied with pretty ribbon only added to the effect. Perfect for beautiful bloggy photos I thought to myself as I laid my naive little eyes upon the goodies before them. There they sat in the box for two whole days. I didn't want to ruin the photo opportunity, because I just knew it could be epic, yet for some reason I couldn't make the time to take the photos I knew a good blogger would take. Eventually though I was faced with morning bed head that I could no longer endure. There were more knots than I cared to deal with at quarter past already late for school. 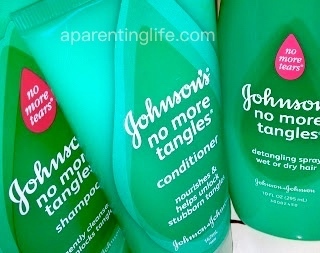 So I tore off the ribbon and cracked open the no more tangles detangling spray. Well. Let me tell you it worked a treat. Miss Nearly Six sat there oh so patiently and let me work through the mess that was her hair. All without complaining, wincing or screeching in pain as is the case some mornings. I did notice a bit of a smell but the ease with which the brush went through the hair I did not care. Even though her hair is already shorter than longer, hair time has been somewhat of a battle of late. I was relishing the ease with which battling was not occurring. Moving on to Miss Almost Eleven I was feeling quietly confident and looking forward to a similar pleasurable experience. All was going well, till I sprayed. Turns out the smell I thought I got hold of earlier, my darling eldest had well and truly caught hold of it and was determined not to let go of it either. In her honest opinion the detangling spray smelt like dog poo and there was no way on god's green earth she was letting me put it anywhere near her head. Instead she opted for me ripping the brush through the bird's nest that was her well past her shoulder length hair. Thankfully though the shampoo and conditioner are much less offensive to the nose. While they may have left my hair feeling remarkably like straw, Miss Two didn't scream when she inevitably got some in her eyes. Which was nice and made a pleasant change. Now to be totally honest with you (which I always am) I still haven't actually used all the products. In fact, in the incredibly dodgy photos above I even neglected to include one of the products (the baby bedtime bath if you are interested) We don't have a bath (nor a baby for that matter) so a few of the products were out of our market so to speak. I do know a few new born babies that I could have probably accosted for a photo shoot but it turns out I just couldn't be overly bothered. Terrible I know. But I kinda have a valid excuse. When I saw a number of other posts around the blogosphere, all reviewing the same stuff I became disheartened and began feeling a little used. I was in fact not so special and unique but merely just one of a number of mediums used to influence your average mum who spent too much time on the internet! Despite not really being a 'products' person I have managed to use these products at one time or another with my children and feel comfortable saying, while they are alright and do the job I have never experienced anything that would leave me raving about them. If ever faced with a situation where I am in need of such a product it is more than likely this is what I would choose. Maybe. Unless there was something cheaper. Having said all of that though I want to tell you about my dry cracked feet. They are dry. And cracked. And often ache. What bought wonderful relief to these dry itchy feet though was the Soothing Relief Moisture Cream. That stuff is the bomb. Seriously awesome I tell you. It brought an instant relief that lasted for hours. Quite easily better than some of the ridiculously over priced specialised foot creams that I have been tricked into buying over the years. Anyway there you have it. My views on Johnson & Johnson No More Tangles, Bed Time Sleep Better, and Aveeno Baby products. Since this blogging gig is all about honesty I just want to let you know I was not given any cash for this review, however I did receive some cool products. Some I tried and some which I will probably re-gift to the next new mum I come across. All thoughts and opinions are my own and can never be bought or paid for. I wish that I had the sense to ask for some extra stuff to give away. 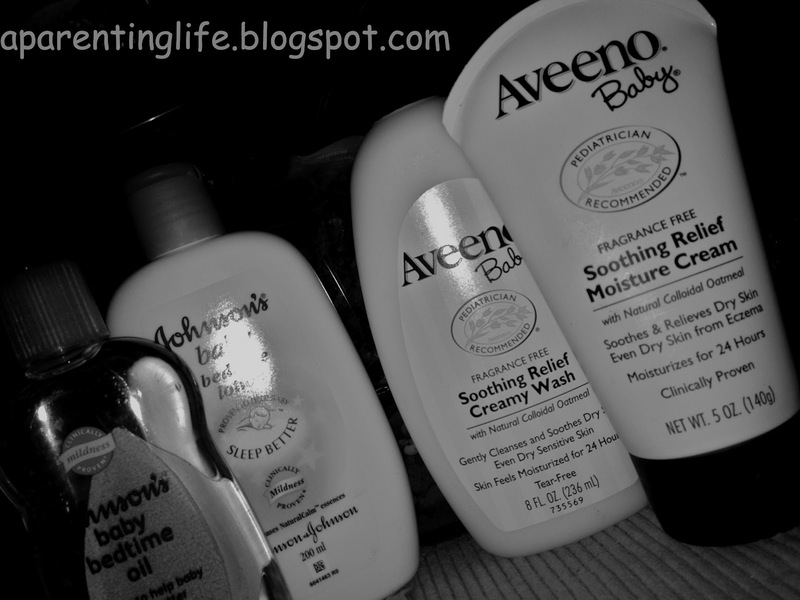 Every house should have some of that Soothing Relief Moisture Cream. My feet have never felt so good. Oh well live and learn. Should I ever be asked to review something again I know now how to respond. At least you tried. At least you gave it a go. It is a hard decision to make... Feels like letting a company in our little patch of the blogosphere... Scary. its very scary isnt it... learning this PR stuff?! love this post, I will definately be trying the moisture cream on my cracked heels! I totally get what you mean. My first offer was for me to go through a free 'lost the fats' treatment. I mean, hello? Which part of my blog says I wanna lose weight? Anyway at least you tried and found one product you love. And yes, definitely should ask for something to give away next time!